Oops, just missed it! This film is no longer available on Netflix streaming or DVD. Boys will be boys and boys will be misfits. 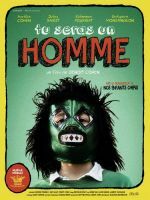 You'll Be a Man (Tu seras un homme, 2013) highlights two heartwarming characters in various stages of becoming a man. NOT AVAILABLE ANYMORE TO STREAM ON NETFLIX. NOW AVAILABLE ON NETFLIX DVD. The name Violette Leduc may never have reached French or American households as often as other famous writers. 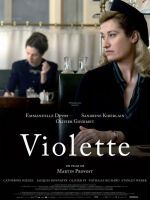 However, her ambivalent relationship with Simone de Beauvoir, her life in misery, and her avant-gardism feminist novels make her a fascinating figure of the literary circle of the 50’s in France, and a great character for a biopic. Oops, just missed it! This film is no longer available on Netflix streaming or DVD. 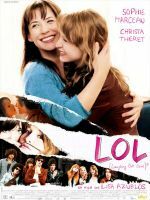 This week, FrenchFlicks craved a trip down memory lane, taking it back all the way to High School, with the movie LOL, directed by Lisa Azuelos. 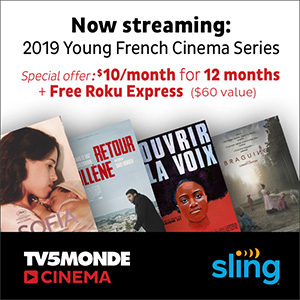 Eager to find just the right amount of French flicks for this cold wintry weekend? We were too. 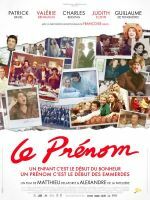 Filled with familial tension, and outlandish and unexplainable practical jokes that only your egotistical uncle can pull off, fans of soul searching family drama will be pleased to turn on Le Prénom (What’s in a Name?). Oops, just missed it! This film is no longer available on Netflix streaming or DVD. Even the French have their cheesy Hallmark Channel reminiscent indulgences like Jérôme Cornuau's Chic! Around this magical time of year, you may find yourself feeling a lot like Mingus (Chris Rock) or Marion (Julie Delpy) as family members visit, infiltrate your home, and possibly meet your significant other. Thank God for the Mommy issues of Xavier Dolan. It made him the artistic whiner he is today, giving us miraculous works, such as the youthful, angsty I Killed My Mother. Lou! Journal Infime is like a delightful cupcake that you can sink your girly teeth into. It's there for you to experience on the off chance you have a hankering for watching an eccentric mother daughter team in action, a la Gilmore Girls, with all the whimsy and innocence of a comic book. NOT AVAILABLE ANYMORE TO STREAM ON NETFLIX. NOW AVAILABLE ON NETFLIX DVD. Quiet and subtle tension engulfs you the whole way through during Guillaume Canet's Tell No One ("Ne le dis à personne", 2006). Is Alexandre Beck (François Cluzet) losing his mind? It would sure seem that way after he finds signs of life from his wife Margot… eight years after mourning her death.